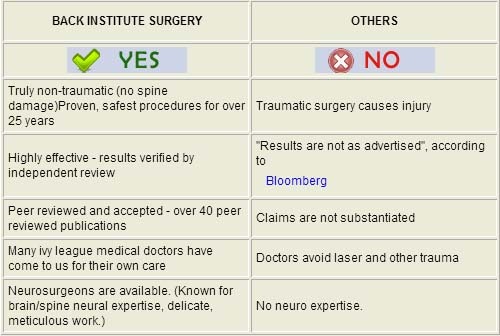 What other surgery centers do? 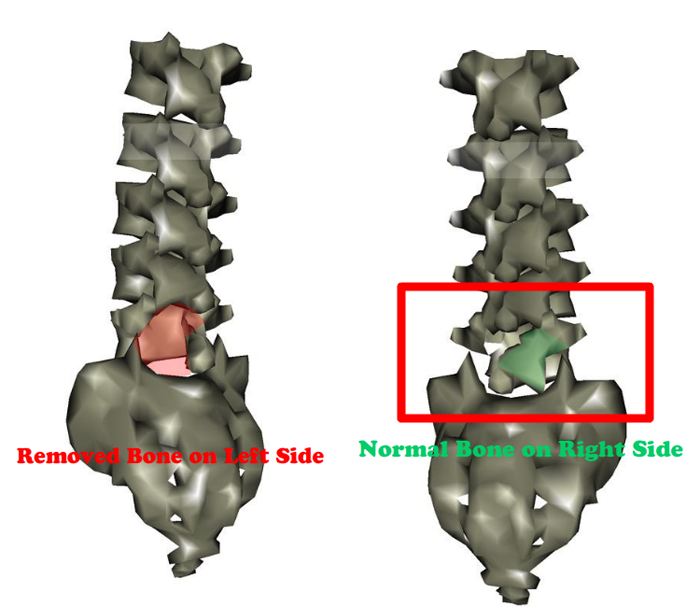 The spine model shown is exactly reconstructed from the CT scan shown below, after a Florida surgeon performed an operation drilling out and removing completely the wall of bone from the left side of the spine in this spot. The upper joint and surface of the joint was also completely removed. 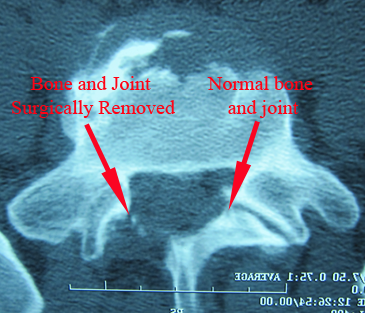 This operation has created permanent and un-necessary damage to what was normal bone and joint. The patient will never heal or recover from this surgical trauma. Joint can not re-create itself. There was nothing wrong with the bone or joint before the surgery. 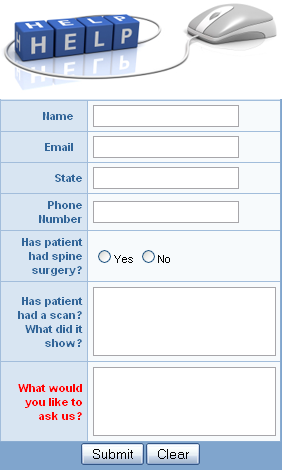 The patient only had a herniated disc problem, which could have been treated without trauma to the normal parts of the spine. Reportedly the patient was deceived in that he went to Florida and had this operation after hearing about laser and arthroscopic surgery to treat his herniated disc. 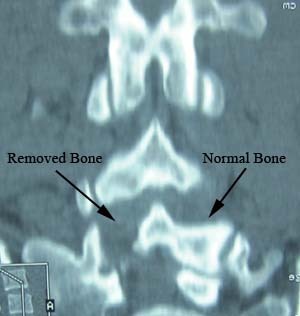 No laser was used in removing the bone. 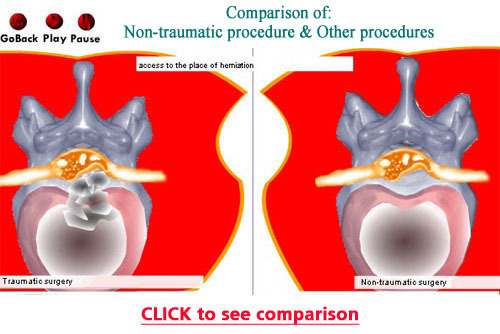 The herniated disc, (the only problem that needed treatment) was not touched, not treated at all and the patient was not helped at all by the surgery. 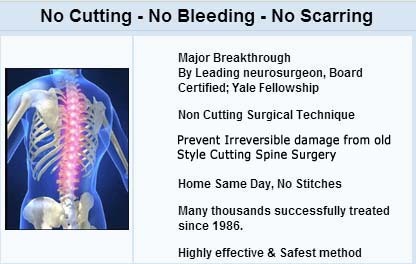 He was told that this was "instead of open surgery", when in fact it was "open surgery" with more bone and joint damage than most surgeons make with their open surgery.